We all love Role-play Games and it doesn't matter what kind of gamer we are or which console we are using, we will always love RPG games. I had the time to take a break from Auto Chess and play some RPG games and that's when I decided it's time to make another list of Top RPG Games on Steam. This list is not an all-time best list, not even a yearly list. This is just based on my experience of RPG games in steam. I played a few games and I think these are the best possible RPG games you can play on steam in the month of March and in the upcoming months. 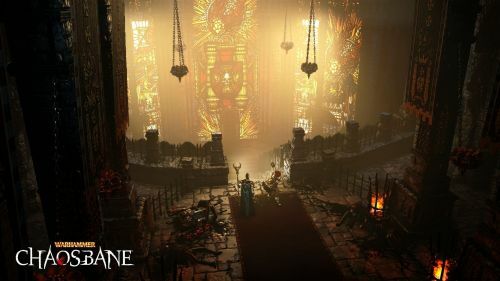 Warhammer: Chaosbane is coming soon on steam. You can play the game from June 2019. You play in a world ravaged by war and dominated by magic. You'll have to rise up against the evil and fight the evil hordes. The game is a quality action RPG and the gameplay is smooth. It will provide you great music and a great story throughout the game. That's what we want the most in RPG games, a proper and deep storyline that will keep us hooked to the game. The game is packed with action and close combats so beware. from the sewers of Nuln to the ruined streets of Praag, fight your way through monster hordes using over 180 different powers. Activate your bloodlust, a devastating skill, to escape the most perilous situations. You can choose your character from the four character classes, each with unique skills and customisation: a soldier of the Empire who can take heavy damage, a Dwarf specializing in melee combat, a High Elf who deals ranged damage by manipulating magic or a Wood Elf who lays deadly traps and wields the bow like no other!